The name of this issue's game is 'Birth of a Legend Lee and the Seven Days'. McClellan (Little Mac), the Union general tasked with defeating Joe Johnston, the Confederate general in the Virginia area of the Civil War, decided to attack Richmond from the sea. Little Mac was a very good trainer and great with logistics, however he was almost squeamish about spilling his soldiers' blood. While one would think that was a good thing, in reality it was not. By not fighting anywhere near as hard as his army could, he had them in the field and camps much longer than they should have been. When you realize that the soldiers in the Civil War died mostly from disease, you start to understand. 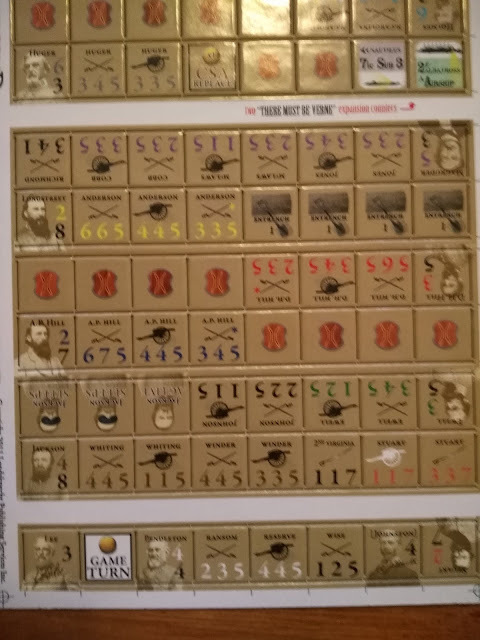 The game included deals with Lee's first campaign with the Army of Northern Virginia against Little Mac and the Army of the Potomac. These are all well written and are well supplied with pictures, maps, and inserts. The magazine always tries to tie in their articles with wargames on the subject. It helps to illustrate both the history and the games mentioned. The game itself, and the article, were in the running for three Charles Roberts Awards. That will tell you how highly it is thought of. The game map has areas instead of hexes (involuntary shudder). 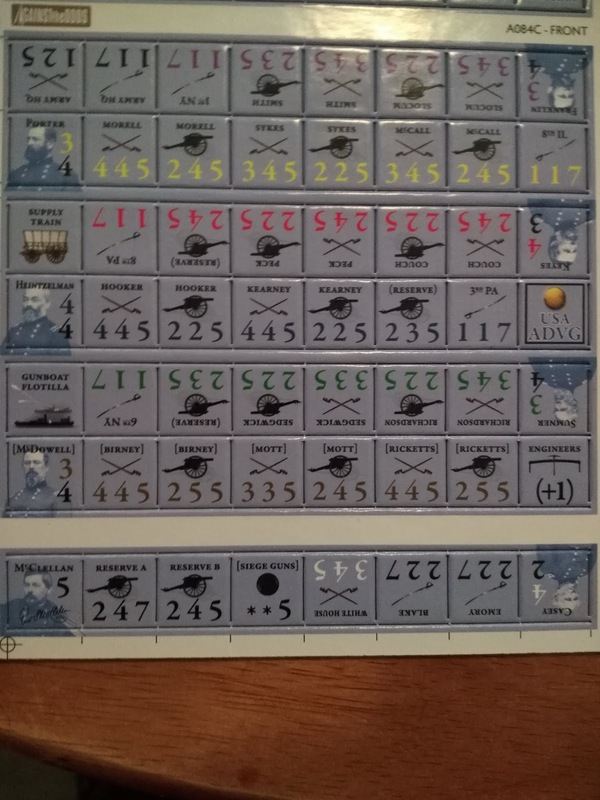 On the other side of the argument, I have gotten used to cards being used in wargames and also block wargames. So I guess it is time to shelve my slight phobia of area movement games, even though my brain keeps repeating hexes, hexes, hexes. The map is very well done and you will have in your hand something no one in either army had at that time: an actual idea of where you are and where the enemy is. Any book or article on the Seven days never fails to mention that parts of Africa were better mapped out than this part of Virginia. It seems by my reading that even the locals were stumped at times in trying to guide either force. One of the rules that might take players by surprise is about entrenchments. We have all heard about how entrenching was normal in the last years of the war. Actually the troops learned very early to dig in whenever they had the chance. The game also comes with copious designer's notes. 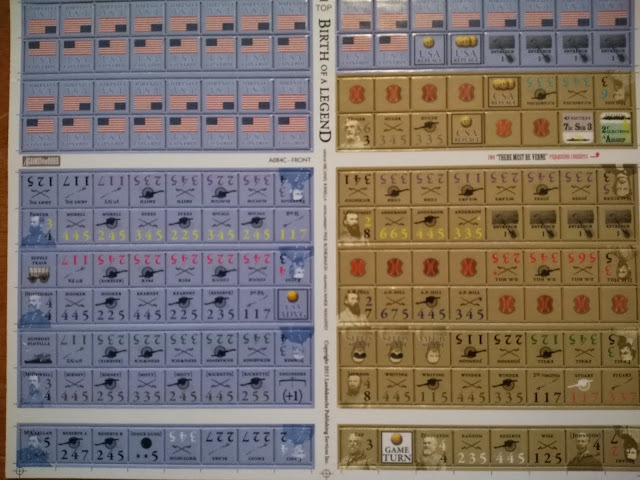 The game is leadercentric as it should be for the Civil War. Very few and far between are the instances that initiative was taken during the War without checking with superiors. However, when it did happen something either very bad or very good was in the offing. So while playing the Union Little Mac can stymie your best thought out plans, playing as the Confederate, Lee is your ace in the hole. Most of the time he is active during game turns. Going back to the first point, the game does allow for limited activation of units without leaders being present with the troops. 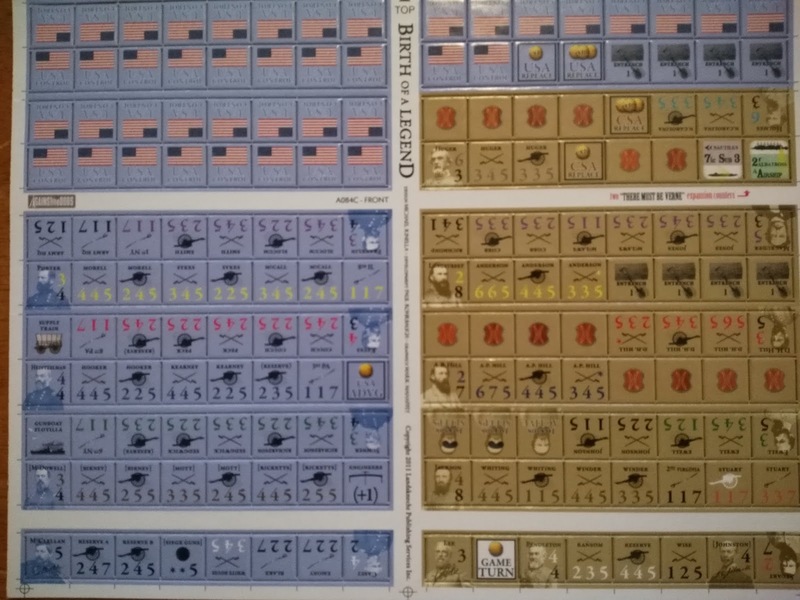 Naturally if your commander is active and you have good leaders (did anybody say Confederates), you will have a lot more choices to make. 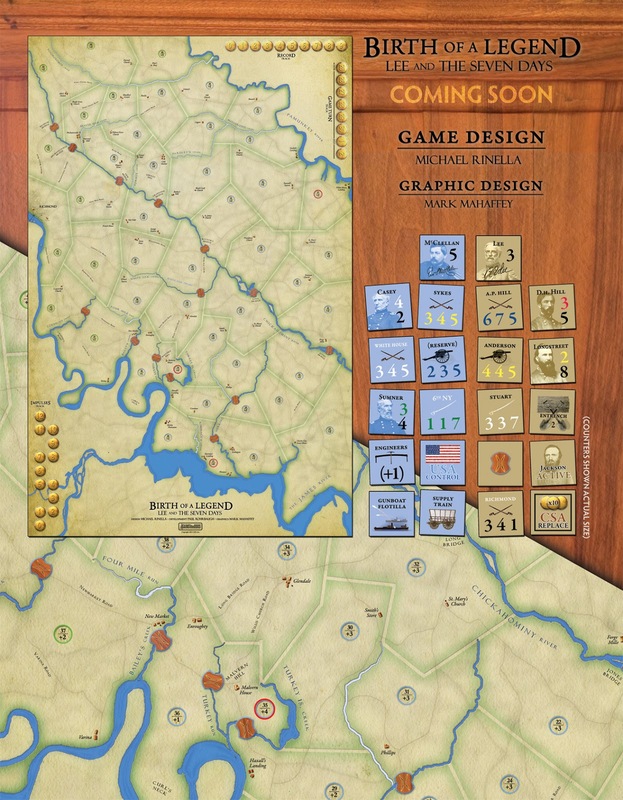 Playing as the Union you must first decide if you are just going to play defensively or actually try to capture Richmond. Unfortunately for you, Little Mac does not help you to be bold in the slightest. Playing as the Confederate you must attack, but when and where? Do you take enormous casualties, as happened historically, or do you try to pry the Union Army off your front porch more subtly? As the Confederate, a draw will do nothing for you. You must either destroy or hobble the Union Army. So what is my take on the game? Well besides the areas instead of hexes (just kidding), it plays out pretty well historically. Which to me is the litmus test for wargames. Playing a game that the rules would allow any time period to be played on a map, is not my cup of tea. So, this game has passed the test with flying colors. The designer has to try and put the players in each commander's shoes, even if they don't fit or really want to walk or do anything. Little Mac's subconscious would have been a great piece of history to have on hand. His penchant for imagining victories and enemy hordes still escapes historians. Luckily, you as the Union player know that every Confederate soldier under arms is not on the other side of your picket line.